Private 201398 William Ainger Howman 1/4th Suffolk Regiment. His parents were Robert James Howman and Mary Archer of Fakenham. When they married in 1894, Mary already had two daughters, the elder Leah born when she was just 16. William Ainger was their eldest son. The Howman family had been established in Ryburgh since the late C18th. when Peter Howman married Lydia Ainger at St Andrew’s in 1793. 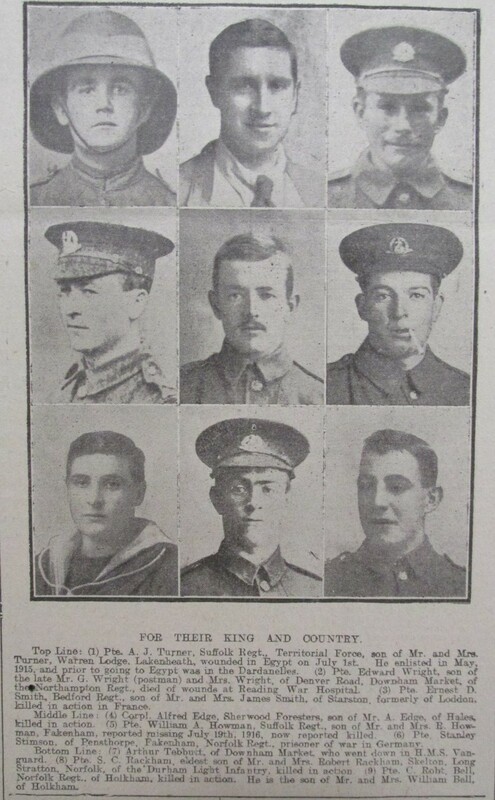 They were William Ainger’s Great Great Grandparents and believed to be the common progenitor of all the Howmans who were involved in the First World War. William Ainger joined the Territorials in April 1912, as had his father before him when, as part of the 4th VBNR, he had fought in the war in South Africa 1901-2. 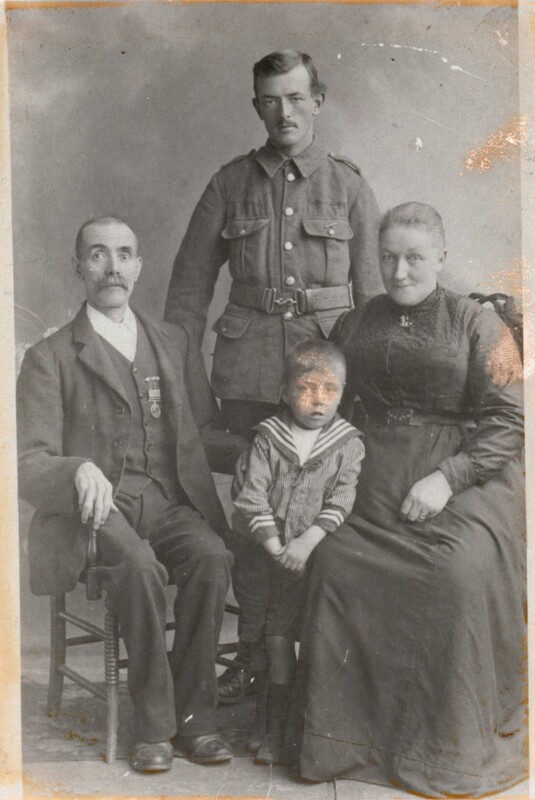 The photograph above shows William Ainger, together with his parents, in uniform probably taken in 1916, four years after enlisting and before going to France. His father is proudly wearing his Queen’s South Africa Medal with 3 clasps .The child is his youngest sibling. When this photograph was taken they were living in Whitehorse Street and William Ainger was employed as a labourer, at Miller’s printworks. His older sister May Louise Archer was a bookbinder and his father worked as a Maltster’s labourer. 24 year old Leah was a laundress and the 1911 Census would suggest that 3 year old grandchild Mary Archer might be Leah’s daughter? Not long turned 17, he was 5’6” tall with fair hair and considered fit for service in the 5th Bat. Norfolk Regiment with the number 1679. After attending training camps in 1912 and 1913, he was called up on 5 August 1914 and remained in embodied "home"service with the Norfolk Regiment until 21 March 1916 when he was “discharged in consequence of the Military Service Act 1916” He consequently re-enlisted at Bury St Edmunds with the 1/4th Suffolk Regiment as Private 201398 William Ainger Howman. In the following 4 months he was posted to France and to the Somme where he died. This recently widely available Register also shows that his father was sent his back pay of £3-8/-10d. and a further War Gratuity of £9 paid in two instalments in 1919 and 1920. He was awarded the British War and Victory Medals which would have undoubtedly been treasured by his father until his death in 1926. Just 21 when he was killed, William Ainger Howman has no known grave. He is remembered on the Thiepval Memorial and on Fakenham Town War Memorial. 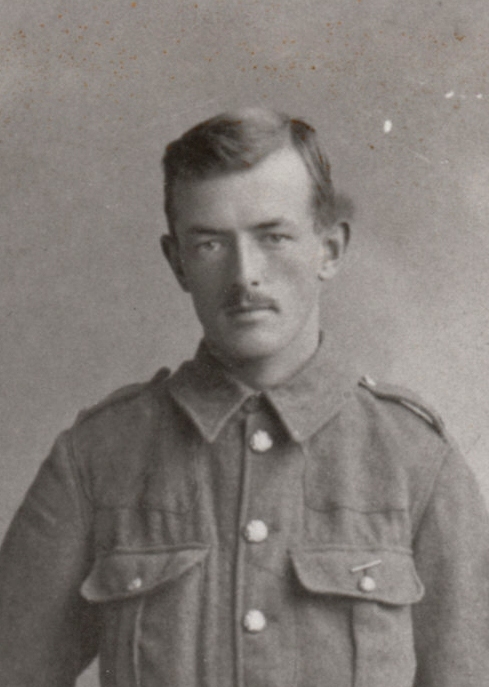 Probably completely unknown to William Ainger, a second cousin, George Howman had landed in France on 25th March 1916 with the Australian Imperial Force, having already seen action in the Dardanelles. George was in France until 11 November 1916, a brief nine months during which time his cousin William Ainger was killed. It also saw him awarded the Military Medal in the field, suffer burns to his hands and face, be promoted to Sergeant and admitted to the Reading War Hospital back in England. He returned to France in April 1917 until September 22nd that year when he was again wounded in action with gun shot wounds to his neck, knee hand and leg. He again returned to hospital in England before being repatriated and discharged from the Army in 1918. He died in 1949 in Wangaratta, Victoria, the area where his Great Ryburgh born father William and his two brothers had emigrated in the 1860’s and began the Australian branch of the Howman dynasty. George Howman's first cousin Frederick Frank Howman also saw action at Galipolli in 1915 where he was wounded in the foot. As a result he was discharged the army in 1916 and repatriated. He survived, though not always in the best of health until 1962 when he died in Dederang Victoria the same area as George where he had been born and brought up.